Harp, keyboard and piano vocals. Weddings and corporate functions from $450 - Instruments: Voice, harp, organ and piano. 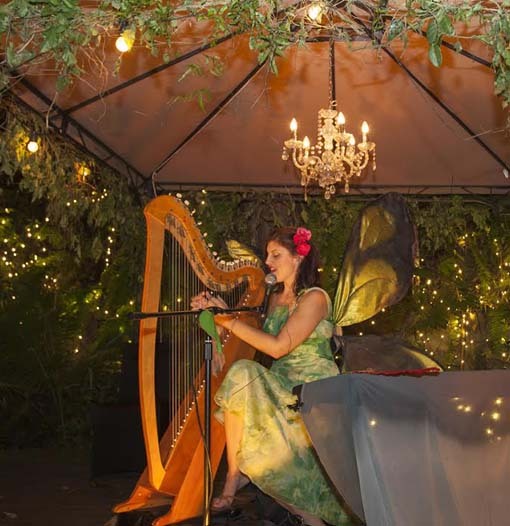 ​Live music for weddings in Port Douglas, Palm Cove and Cairns - Harp, piano and vocals. Visnja is now available for elegant wedding ceremony and reception music in Far North Queensland. She performs a variety of appealing songs at the harp and piano, without the need for an additional musician. Whether it's St Mary's By the Sea in Port Douglas, nuptials on Four Mile Beach, or any of the other venues in this beautiful part of the world, Visnja can bring unforgettable musical memories to your big day. Visnja is based in Port Douglas since 2014. ​PLEASE NOTE: Hymns listed below are only included during a church service if requested. Wedding reception music by Visnja is secular. Please fill in the enquiry / booking form on Visnja's website to receive a quote. As a guide, live music for a wedding ceremony starts from $380 including agent's fees. Quote amount depends on the location of the venue, whether amplification / piano keyboard is required and whether extra songs have to be rehearsed. Some venues such as Thala Beach Nature Reserve and Silky Oaks Lodge have many stairs to negotiate; hence longer set up times.